The minimum age for homeowners to take out a reverse mortgage loan is 62. But what about the maximum age? Is anyone ever too old for this type of home loan? Formally called home equity conversion mortgages, or HECMs, reverse mortgage loans allow borrowers to tap the equity in their home. No payments are required until the borrower sells the home, moves out for 12 months or longer, or dies. Then, the loan becomes due in full. Common motivations to get a reverse mortgage include wanting to stretch retirement income or needing money for medical treatment or in-home care. “People’s retirement portfolios aren’t as large, generally speaking, as they were in the previous generation and/or people have higher expectations for their retirement income than they did previously,” says Rick Wills, branch manager at Open Mortgage in Silver Spring, Maryland. A reverse mortgage loan “can be a means to supplement their retirement portfolio,” he says. The age “sweet spot” for borrowers is probably 65 to 75 years, says Eric Meehan, reverse mortgage loan specialist at Movement Mortgage in Chula Vista, California. One of his oldest customers was 84. Another was 92. But, back to the question: Are you ever too old? The short answer is no. Wills’ customers have included a woman over 80 and her 101-year-old mother, who got a reverse mortgage loan together for a home where they’d both lived for decades. 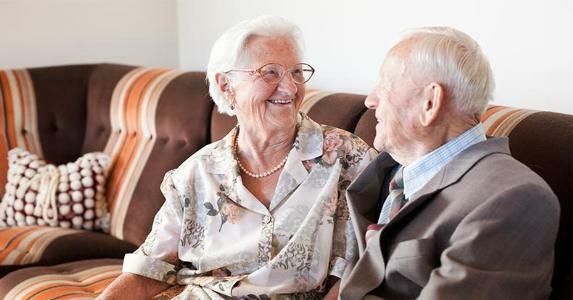 Older seniors may not be the norm for reverse mortgage loans, but they’re not unusual either. “People realize they have a lot of equity in their home and this allows them to stay there in a way that’s more financially stable,” Wills says. Younger seniors may be more likely to use a reverse mortgage loan for travel, living expenses or financial planning, while older seniors more often have health care needs, says Meehan. While those scenarios may be common, there are no restrictions — age-related or otherwise — on how seniors can use reverse mortgage proceeds. Beth Paterson, certified reverse mortgage loan professional at Reverse Mortgages SIDAC in St. Paul, Minnesota, recalls a 96-year-old borrower who used a reverse mortgage to hit the road. “She had a $2 million home, condo in Florida and lot of (other) assets, and she was still able to travel, so she did the reverse mortgage instead of tapping into her other retirement funds,” Paterson says. No mental competency test or medical exam is required to get a reverse mortgage loan. However, lenders are aware that competency can diminish with age. Meehan, with Movement Mortgage, asks seniors to recall short-term information while he speaks with them, to get a feel for whether they fully understand. He also may ask older seniors whether a family member or other trusted adviser can review the loan information with them. In some cases, a guardian, adult child or other trusted financial adviser given power of attorney may be involved in a senior’s reverse mortgage loan. Wills says a power of attorney must be accompanied by a physician’s letter confirming that the authorization was given when the borrower was mentally competent. All reverse mortgage borrowers must complete a financial assessment to help ensure they’ll be able to maintain their home and pay their property taxes and homeowners insurance. This assessment isn’t used to approve or deny a loan, but it may prompt a lender to set aside part of the loan proceeds to pay taxes and insurance on the borrower’s behalf. The financial assessment may be more challenging for some older seniors. “Sometimes the older people don’t have part-time jobs but may just be living on Social Security, so sometimes it may be a little bit harder (for them) to qualify under the financial assessment,” Wills says. But here’s something that can offset a set-aside, if it’s required: Older borrowers can tap a larger percentage of their home’s equity. The reason is that their life expectancy is shorter, meaning the expected term of their loan will be shorter, too. Marcie Geffner is a freelance writer in Los Angeles who specializes in real estate.